LIO, not LEO. This lion’s name is built from the first initials of designer Vinnie Rossi’s wife and two daughters. A hi-fi platform whose stealth approach comes double twisted by way of ultracapacitor power banks and modularity. Rossi’s LIO platform is user-configurable to serve as a loudspeaker amplifier, a proper headphone amplifier, a phono stage, a (tube and/or solid state) pre-amplifier or a D/A converter; or any combination thereof. Modules are plugged directly into the LIO’s motherboard by Rossi himself at time of order or at a later date by the end user at home. No need to ship the LIO back to its Massachusetts point of origin. Since its 2014 launch, LIO has shown us that Rossi’s platform is hi-fi in motion. 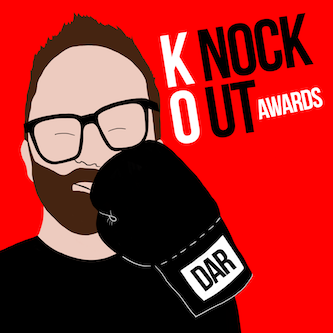 This year’s LIO needn’t be the same as last year’s LIO. 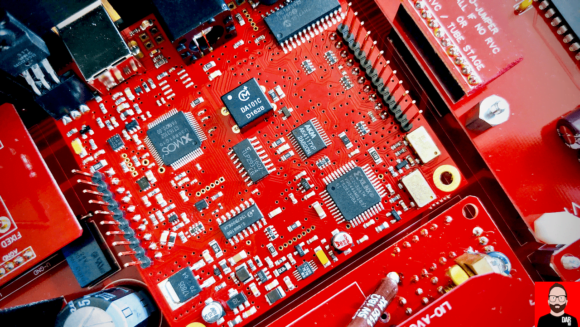 Modularity and reconfigurability mean Rossi can develop improved modules. Pull out the old one and plug in the new one. Case in point: the DAC 2.0 module is a no-expense-spared, ground-up reworking of the LIO’s D/A conversion capabilities. According to Rossi, it’s a statement module that when hooked into the LIO mainframe will compete with high-end standalone converters “selling for up to US$10K”. We’ll see about that. Specc-ing out a LIO as a standalone DAC 2.0 device parachutes a US$6000 ultracapacitor powered, modular D/A converter into PS Audio Direct Stream price territory. Hold that thought. For existing LIO owners, the DAC 2.0 module sells for US$3295, signalling not only more rarefied parts selection for higher BOM but, constrained by its 4cm x 4cm motherboard mounting position, higher R&D, prototyping and testing costs. Squeezing the same technology into a smaller space costs money – just look at the smartphone business. On trade-ins, Rossi is offering the full US$895 value of the original module. You can see it in the dust and the fingerprints of my long-term loaner that I’ve been a LIO user since 2015. In March of this year, Rossi rolled his DAC 2.0 module in bubble wrap and dropped it into a shipping box for a trip across the Atlantic. Along for the ride came a revised analogue output module that sees one of two variable outputs outputting via balanced XLR sockets. Installing the modules isn’t a tricky as you might think: pop two thumb screws to slide off the lid; pop four more screws that secure the outgoing module to LIO’s rear panel; carefully lift out the old module; even more carefully push the new into place, paying strict attention to its motherboard pin alignment. The limited square footage of the DAC module’s ground floor connection has forced Rossi to build upwards with a three-board stack loaded with digital-handling silicon and SMT parts. Rossi reports that despite data re-clocking being an integral feature of ESS Labs’ 9038Pro DAC chip, he preferred the more organic presentation of AKM’s AK4497EQ. “…for me, it is closer to the NOS, R-2R signature that I have deeply enjoyed over the years (with PCM and DSD), but with heightened resolution!”, he says. On heightened resolution, Rossi isn’t messing around. With the LIO playing DAC 2.0 and auto-former pre-amplifier into Genelec’s 8341 ‘The Ones’ actives (and through another ADC-DAC stage!) the minutiae of Ryuichi Sakamoto and Alva Noto’s meticulously crafted Glass still shine through. The LIO teases out Glass’s finer strands almost as effectively as the oft-detail obsessed Hugo 2 from Chord Electronics. On the other side of the DAC 2.0 module sits a galvanically isolated USB input. Instead of pulling 5V from a potentially electrically noisy consumer grade PC or low-rent streamer, the DAC2.0 cauterises the USB cable’s 5V feed to favour a highly regulated go-juicing by way of the LIO’s own (blue) ultracapacitor banks. To recap the ultra-cap: Bank A powers the LIO while Bank B is recharged by the mains before silently swapping roles. Any electrical noise hitching a ride on the LIO’s mains supply is only ‘seen’ by the ultra-cap bank being recharged, never the one in play. This effectively renders all audiophile-aimed power cables, filters and regenerators surplus to requirements. From blacker backgrounds, reviewer cliches emerge. 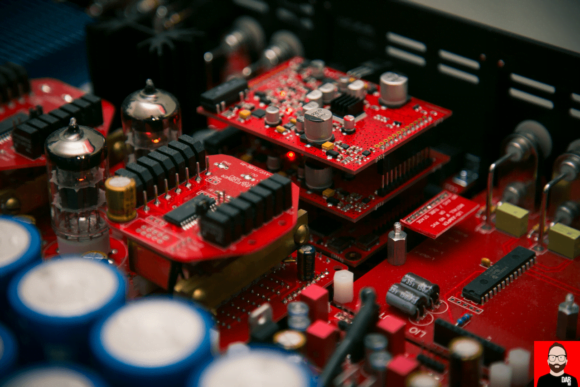 For this listener, a higher quality (lower noise) power supply has consistently led to greater deep mix illumination. What we get from the DAC 2.0 LIO playing digital decoder on Clap Your Hands Say Yeah!’s self-titled debut is the sound (and sight) of a band playing under house lights with stage, the backdrop and, most importantly, the spaces between players fully exposed. Under DAC 1 module command, those same house lights are dimmed to a lower level. Under higher lumen load, we find Brian Eno’s “Sky Saw” generating extra (emotional) grip and, later, revisiting Suede’s self-titled debut, seeing (with our ear-brains) Bernard Butler’s guitar cutting the air as a car tyre might meet the road — with a heightened awareness of colliding surface textures. But it goes deeper than that: the DAC 2.0 LIO affords music greater conviction. It’s firmer of foot-(stomp), more overt in its expression of a song’s scale and drama. Could it be that the module itself not only offers a more micro-dynamically alive take on the Why?’s Alopecia than, say, Schiit’s Yggdrasil Analog 2, but cleaner power on two fronts twice multiplying the DAC 2.0 performance factor for an end result that is simultaneously wide-eyed and effortless? These are the audible hallmarks of high-end DACs like the Aqua La Scala MKII which, if you’re interested, delivers more low-end mule kick than the DAC 2.0 LIO. After a week with the triple-decked DAC 2.0, I re-installed the double-stacked original to find its overall gestalt pinched in the middle, greying on top and a little short of breath. One word: lacklustre. The new version outclasses it in every way: better clarity, better dynamics, better detail retrieval, greater avidity. And yet I knew this from the get-go. A first listen to the DAC 2.0 had me, quite literally laugh out loud at my hifi system, so pronounced was the upgrade’s magnitude. But a first impression isn’t a review. I took my time and I took to headphones; over a number of weeks, the Sennheiser HD800S confirmed my initial thoughts. The passive KEF LS50 set them in concrete. 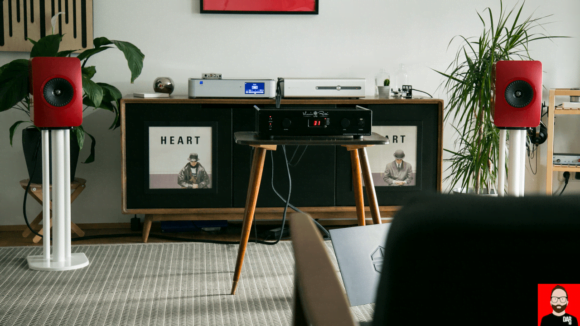 Tonal colour is where the DAC 2.0-loaded LIO pushes into the big leagues, leap-frogging the likes of the Chord Hugo 2 and Schiit Ygdrasil Analog 2 to paint music like Oneohtrix Point Never’s Age Of in heavily saturated oils. By contrast, we note the v1 module’s preference for watercolours. The LIO DAC 2.0, playing into the Genelecs via auto-former pre-amplifier module, delivers a musical intensity that we just don’t quite get from the PS Audio DirectStream going DAC direct into the same loudspeakers. Such is the benefit of an interceding pre-amplifier between DAC and power amplifier. Running both LIO and DirectStream as standalone DACs behind PS Audio’s BHK Signature Pre-amplifier evens the odds but at considerable expense. On clarity and crisper edges, Rossi’s baby takes it. On richness and fleshiness, the nod goes to the Coloradan. The LIO favours soundstage depth, the DirectStream soundstage width. Where the LIO and DirectStream’s interpretations of music diverge a little further is on jump factor. Rossi gives us just a little bit more, making it the better choice for maximising the intensity and clarity of Surgeon’s relentless techno cuts. In my experience, DSD upsampling adds softer tissue to PCM’s skeleton to render poorer recordings or sparser arrangements more satisfying. Ted Smith’s FPGA code that lives inside the DirectStream does this automatically and invisibly – its simple output stage demands nothing but a bitstream (DSD). The resulting rich, sometimes creamy sound is why the DirectStream remains my first recommendation to anyone making the leap from high-end vinyl to digital playback for the first time. 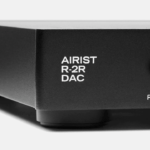 The DAC 2.0 LIO offers DSD compatibility all the way up to 512. 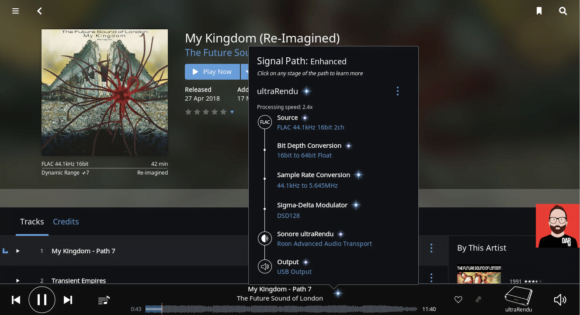 The world’s DSD download library remains embarrassingly narrow so end users have taken matters into their own hands, upsampling PCM to DSD on the fly via HQPlayer and, more recently, Roon. Audible glitches told me us that DSD512 was too much work for Roon server-side upsampling engine running on an Intel NUC. Here Roon needs more horsepower. Perhaps the Nucleus? I’ll find out eventually but not today. In the meantime, I’d need to take it down a notch. In my LS50/HD800S setup, I had Roon’s server-side upsampling do pre-stream processing before sending DSD256 onto Sonore’s ultraRendu network bridge. The Sonore would then hand off that bitstream to the LIO DAC 2.0. Redbook source material reborn as DSD256 adds a layer of milk froth to the LIO’s crema-topped double espresso shot. Now Surgeon’s Luminosity Device sounds more muscular than it does through the PS Audio box, which is subsequently contrasted as more polite. Your taste in music might make such politeness mandatory. The LIO and Roon DSP mean we each can choose our own amount of DSD dosing. Further, the AKM silicon brings with it two modes of operation, user-selectable by the LIO’s weighty remote wand: minimum phase filter or none at all (NOS) but defaults to the latter on start-up. My advice? Leave it there. NOS mode sounds a smidge more open and airy than going minimum phase. Similarly, flipping the jumper setting on LIO’s two-headed pre-amp module to press it into tube operation, mandatory in the PS Audio BHK Signature pre, gives us the full latte. With server-side upsampling off and AVC re-engaged we find the LIO DAC/pre playing with lower acoustic mass but through a cleaner window than PS Audio’s BHK Signature pre-amplifier re-interpreting the DirectStream DAC’s output. Neither sonic take is better than the other; they’re just different. 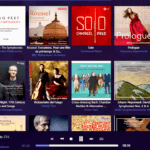 The PS Audio DAC’s ability to internalise an MQA and Spotify-capable Network Bridge II streamer shouldn’t go unmentioned. Here the LIO calls for an external device and USB cable. We find more fundamental differences between the two setups once we turn our attention to box count, mains power agnosticism, interconnects and price. The LIO is a single unit exploiting shorter internal signal paths to bridge DAC output to pre-amp input. 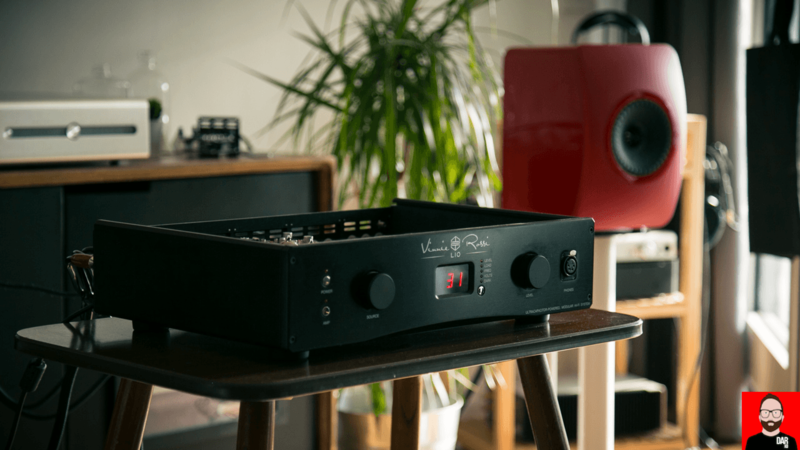 The LIO specc-d to match the PS Audio duo – DAC2.0, AVC/tube-pre, balanced outputs and inputs and headphone amplifier – comes home for close to US$10K. The PS Audio two-fer say howdy at US12,000. 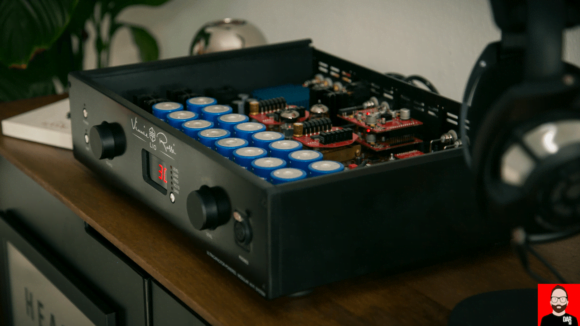 We could to and fro forever on the pros and cons of each: PS Audio’s DAC uses an FPGA loaded with Ted Smith’s code; Rossi has opted for off-the-shelf chips: the PS Audio converter benefits from AudioQuest NRG-X2 power cable and Niagara 1000 power conditioner; the LIO doesn’t need ‘em; the DirectStream seems less sensitive to streamer/server downgrades than the LIO. USA residents can make use of Rossi’s 30-day money back guarantee to find out for themselves just how performance proximate off-the-shelf DAC chips, implemented to reject mains power noise, can get to their own multi-thousand dollar decoder that isn’t. 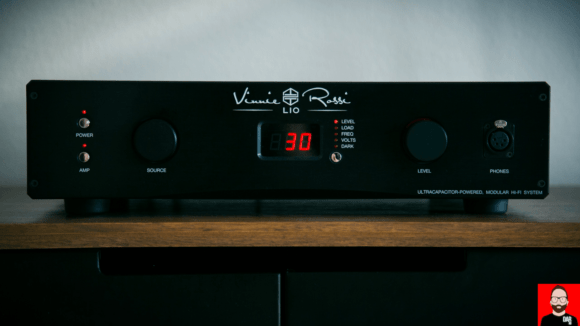 That a clear ‘winner’ fails to emerge from my own game of point/counterpoint with the DirectStream and DAC 2.0 LIO speaks to a broader finding: that Vinnie Rossi’s DAC 2.0 module has the LIO playing among the big boys. Hats off for a high-end mission accomplished. For this is the sound of a LIO reborn. Video camera: Olaf von Voss. Video editing: Jana Dagdagan.